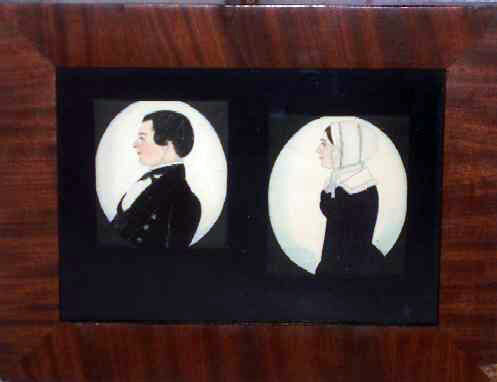 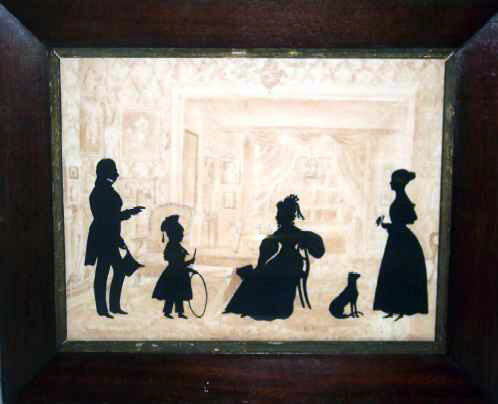 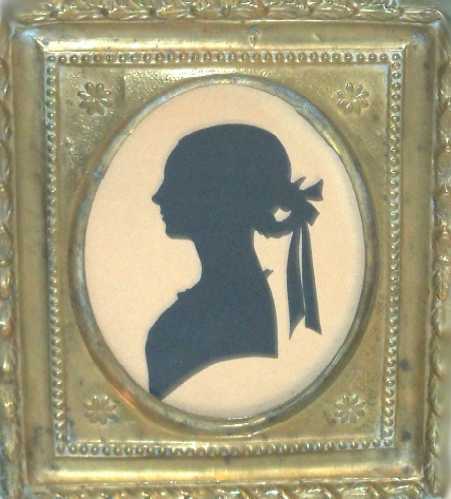 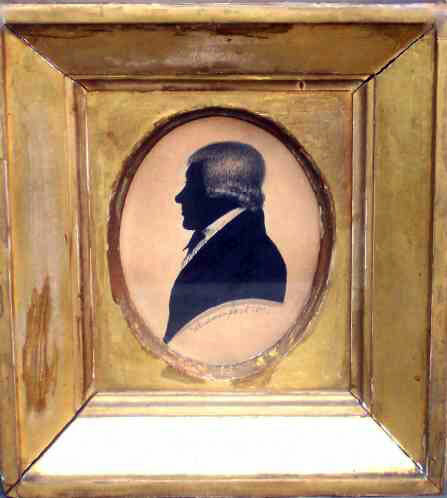 Hollow Cut Sillouette of James Burnham with Genealogy. 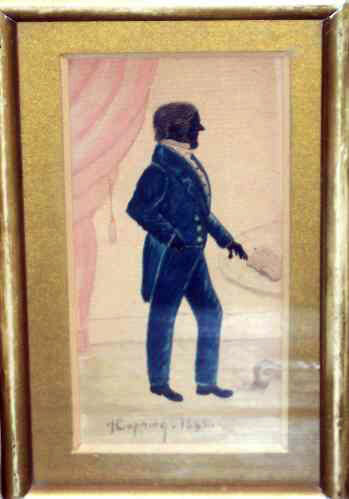 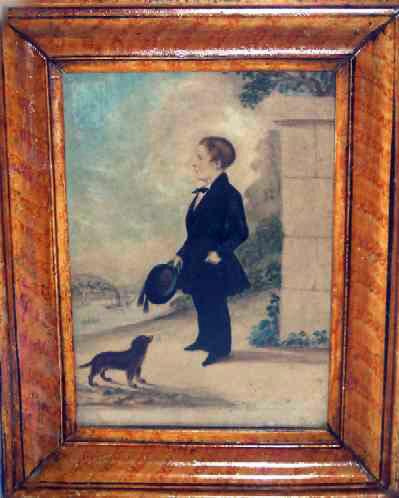 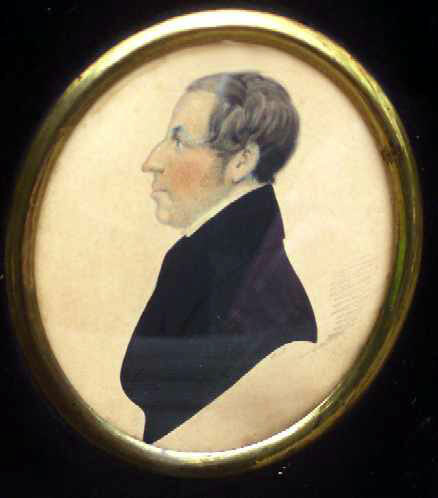 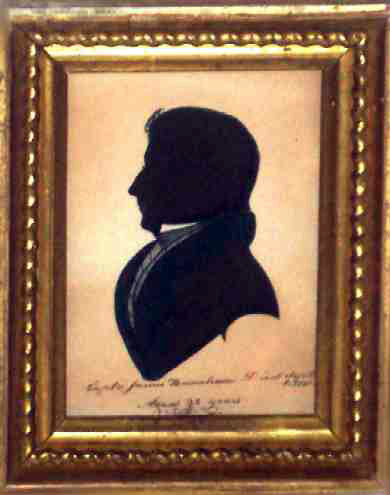 Watercolor and Pencil Profile Portrait on Paper of a Gentleman in a Black Jacket, signed WM. 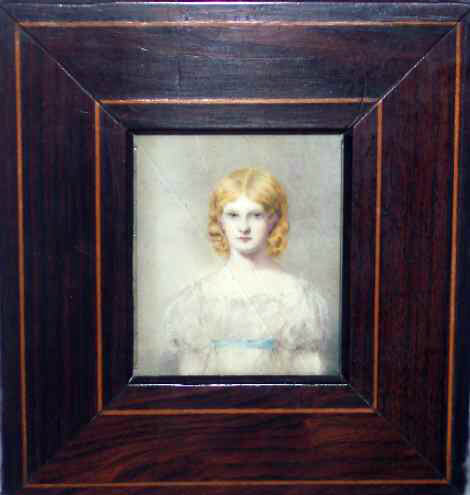 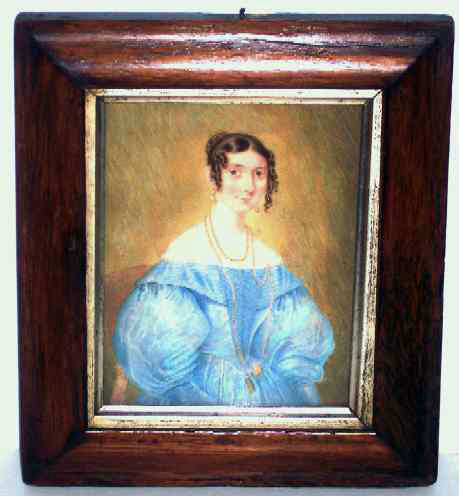 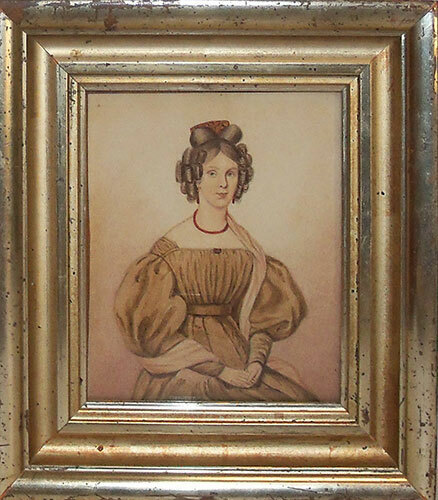 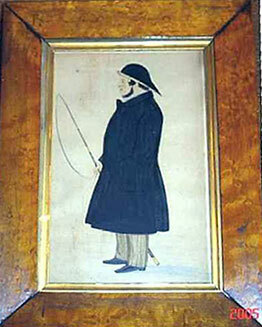 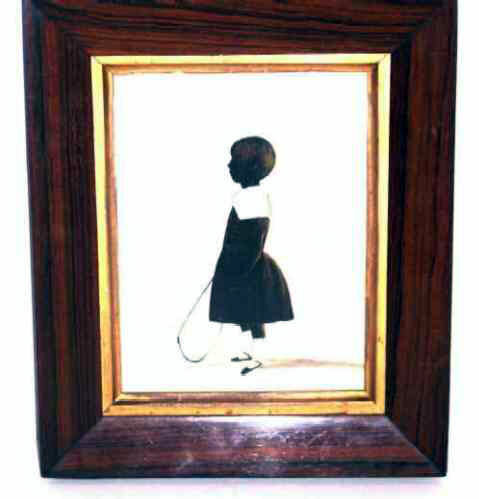 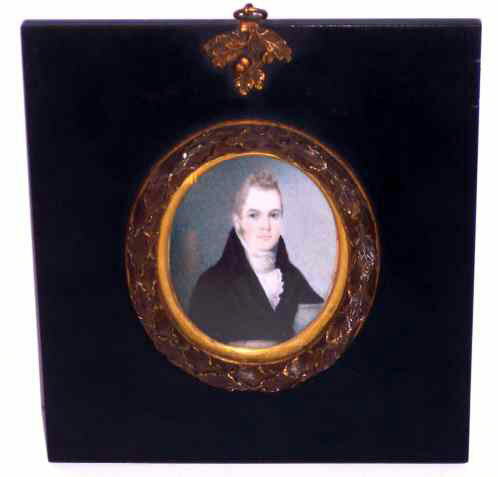 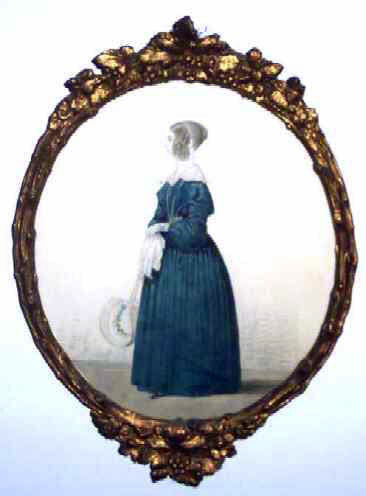 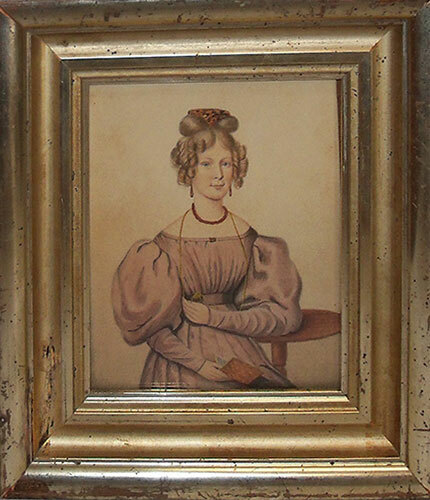 Frost and Dated 1830. 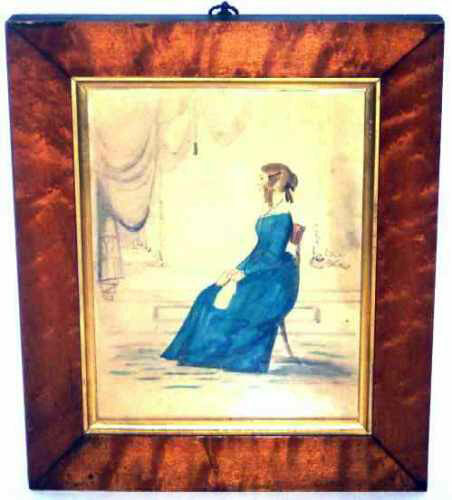 Profile Watercolor Portrait of a Young Lady in a Blue Dress.